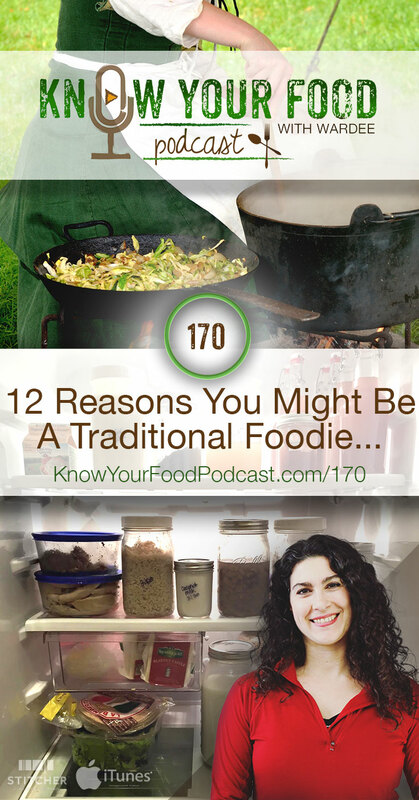 …you find yourself doing any of these 12 things! 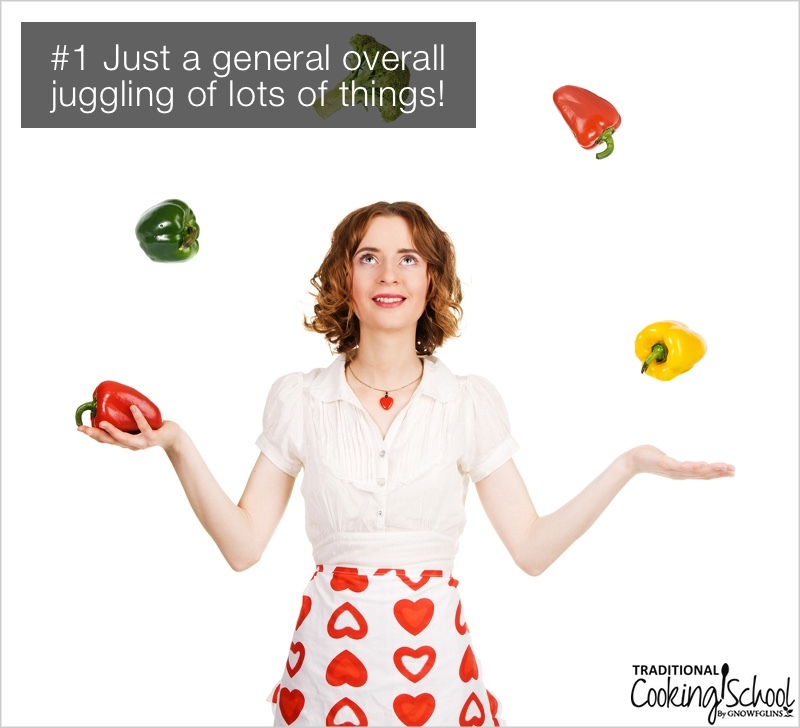 #1 — Just a general overall juggling of things! 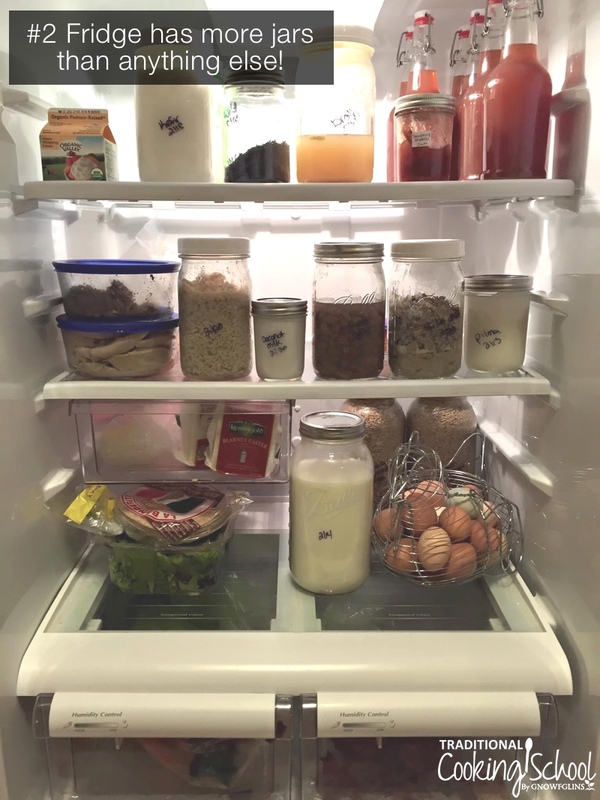 #2 — Your fridge has more mason jars than anything else! a. Food that has been prepared: jars of stock, leftover turkey and chicken from roasts, baked bread and about four dozen English muffins for 2 people because, doggoneit, you're going to figure out that recipe if it kills you. b. Food waiting to be prepared: fruit from the summer, meat from the local farmer. 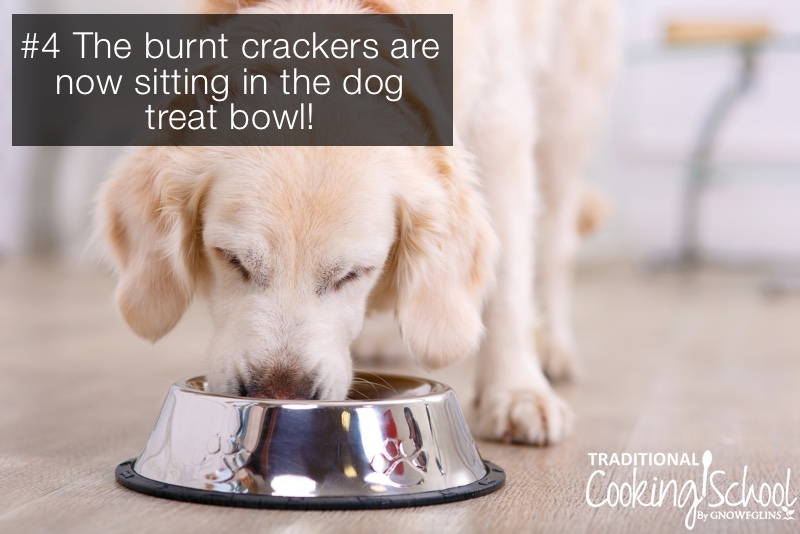 #4 — The burnt crackers are now sitting in the dog treat bowl! #5 — Your cast iron skillets never get put away. 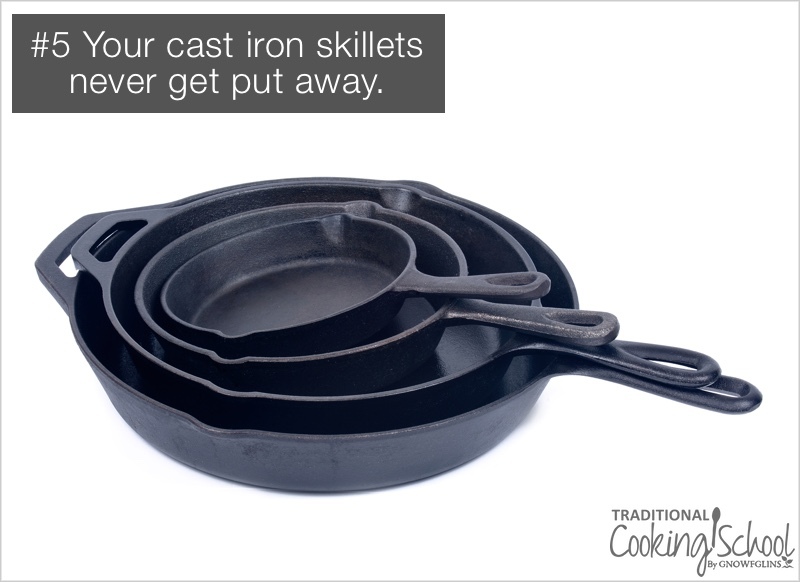 Your cast iron skillets never get put away; they take up permanent residence on a back burner of the stove. 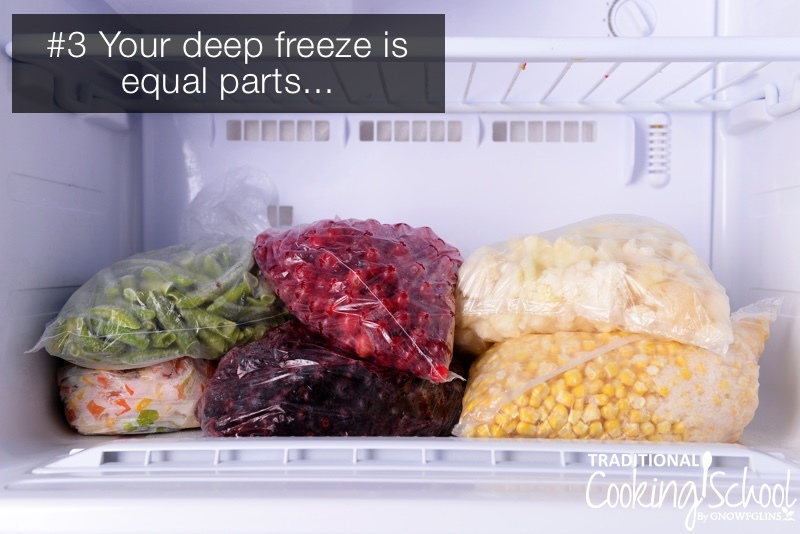 Because why put them away when you're going to use one again at the next meal? 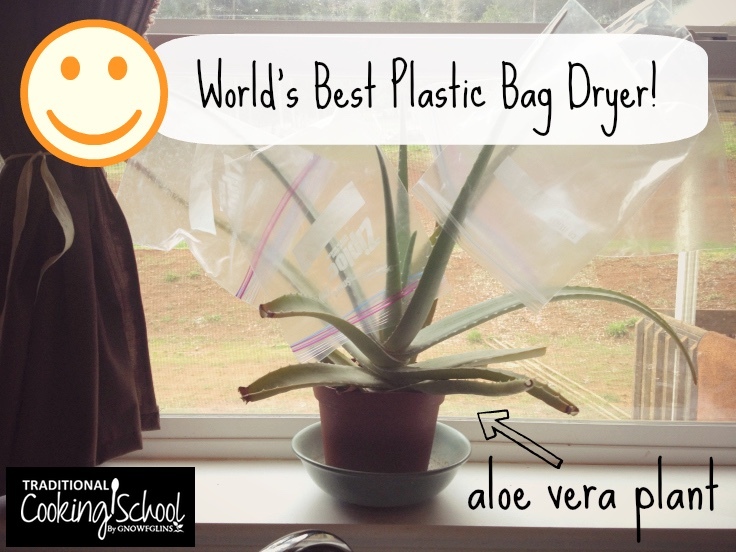 #6 — Your aloe vera plant on the windowsill functions as a plastic bag dryer. 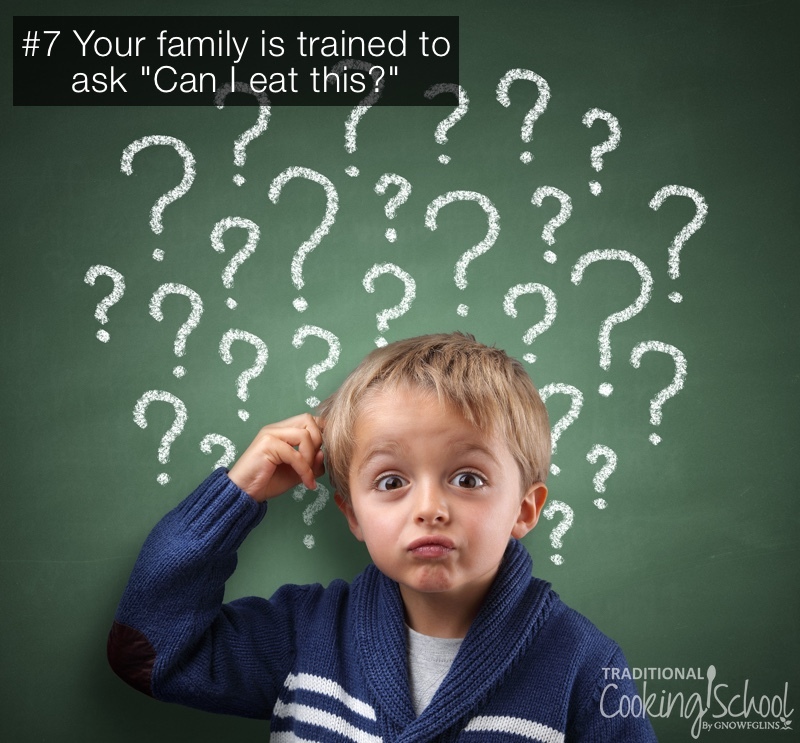 Your family members are trained to ask, “Can I eat this?” before putting any morsel of food in their mouth. Who knows if it's food for them or for a culture, or even a culture itself! 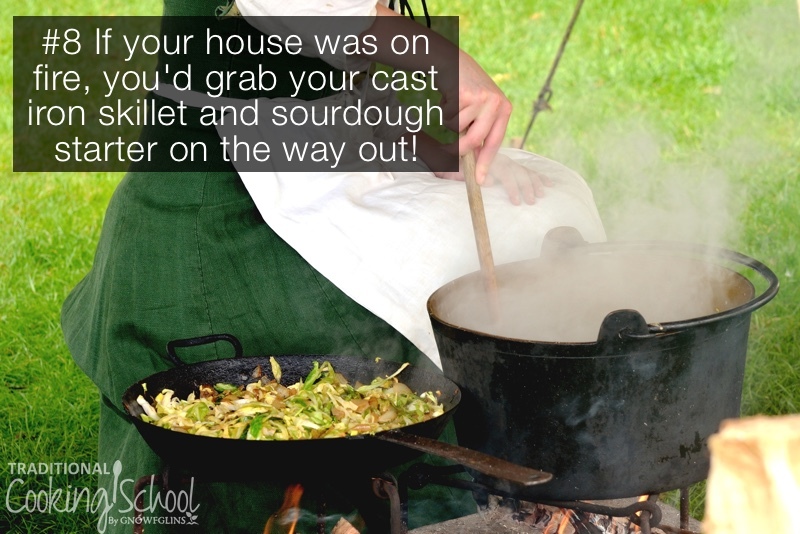 #8 — If your house was on fire, you'd grab your cast iron skillet and sourdough starter on the way out! Your most valuable possessions (you'd grab them on your way out the door if your house was burning down) is your favorite cast iron skillet, your sourdough starter (and a bit of flour to keep it going), and your Vitamix (insert favorite appliance name here). 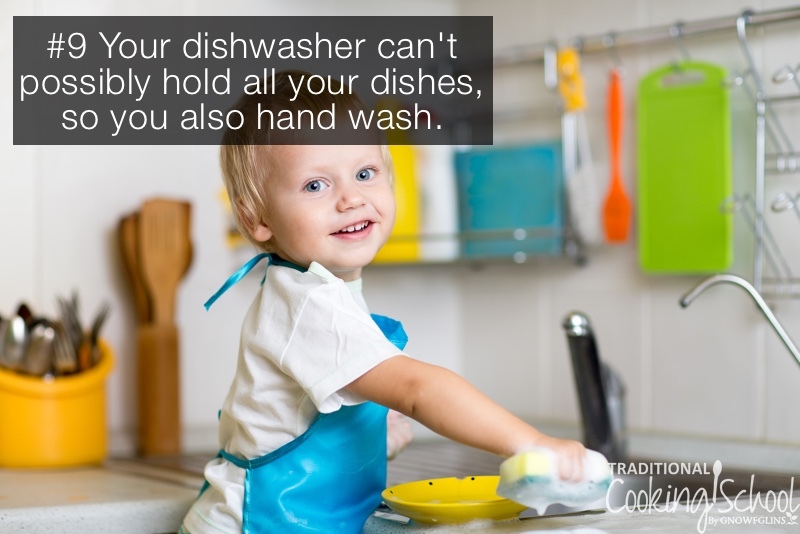 #9 — Your dishwasher can't possibly hold all your dishes, so you also wash by hand. 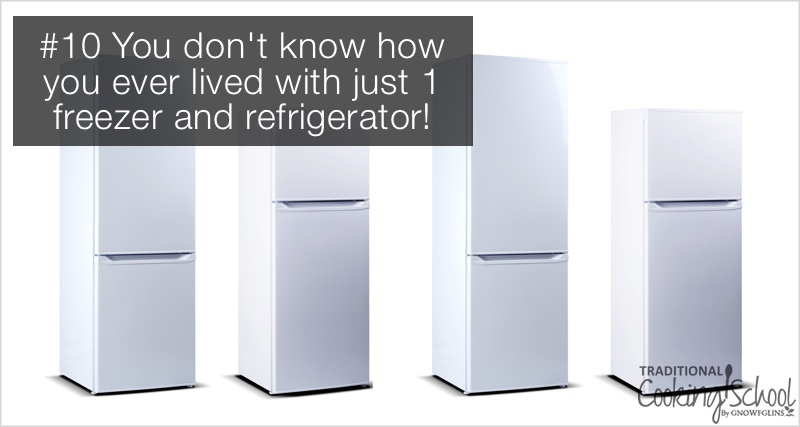 #10 — You don't know how you ever lived with just 1 freezer and refrigerator! 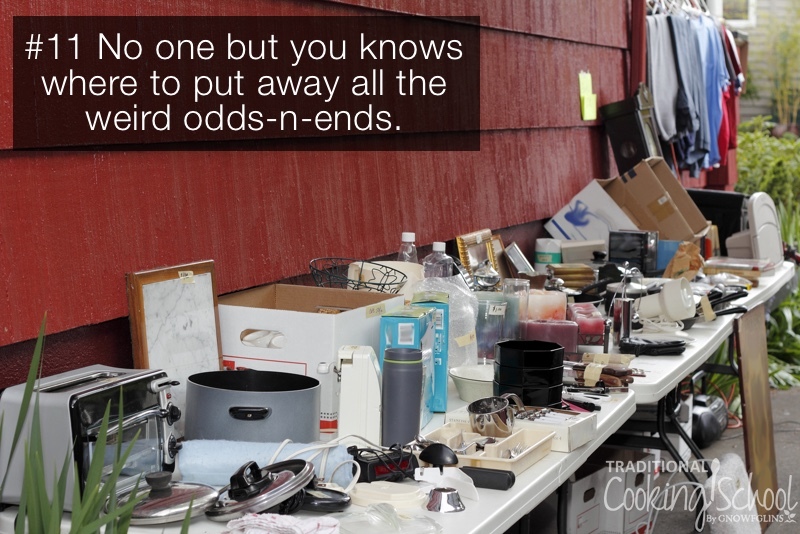 #11 — No one but you know where to put away all the weird odds-n-ends. 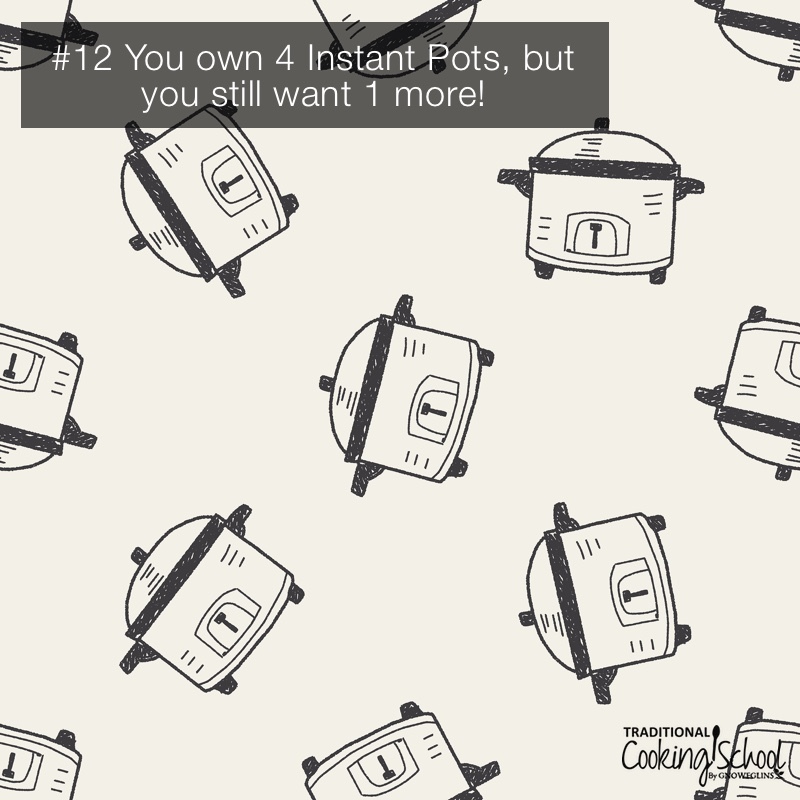 #12 — You own 4 Instant Pots, but still want 1 more!